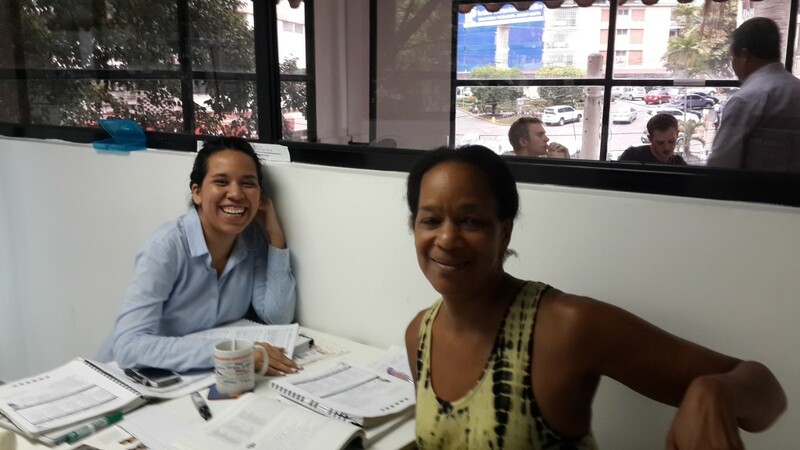 Spanish courses in Panama City, Panama. Group classes at just $9/Hour! 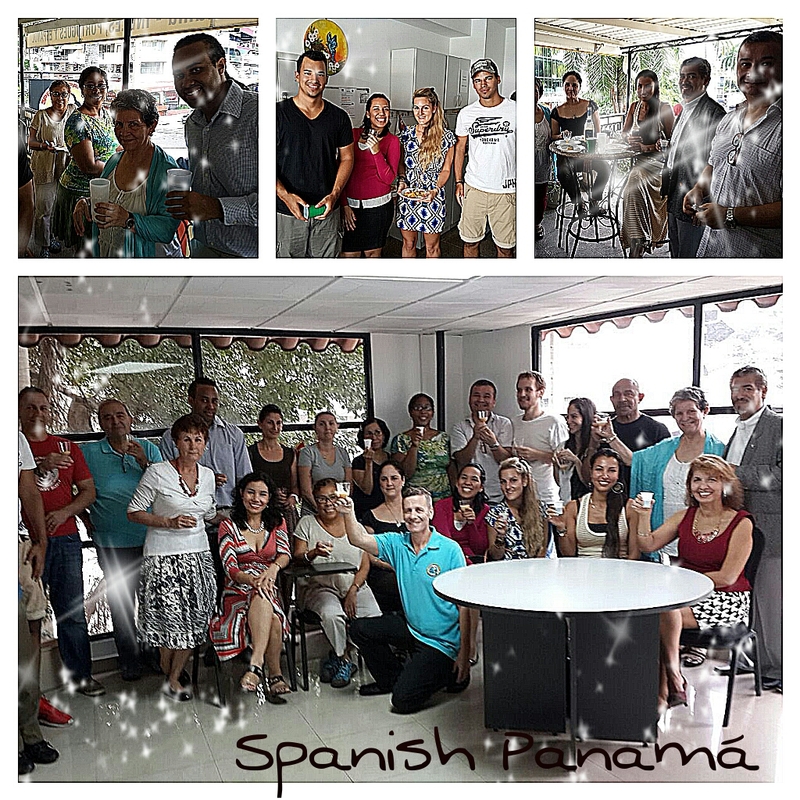 These SpanishPanama Spanish Classes are held 2 times a week (2 hours each session), or Saturdays for 4 hours. Terms and conditions apply. Register using our ENROLLMENT FORM Email us at: info@spanishpanama.com with any questions or call 213-3121 or come by our school right on Via Argentina, El Cangrejo. This Spanish course for non-Spanish speaking people living or working in Panama has a short waiting period so there are no long lines or waits for the “opening date”. There are NO application processing fees. There is a minimum of 2 students needed to open a course. Our Spanish class sizes are always small so that in each lesson you get much more personalized attention from your teacher. The lower the number of students in the class means optimal Spanish learning. Our low Teacher to student ratio is the best! Full payment of $450.00 is to be made in advance of the first day of the 50 hour (3 month) Spanish program. This includes course materials – textbook is extra and is determined upon start of program as each group may have special Spanish learning needs. Our 16 teachers will guide your language learning as most of them have at least 10 years teaching experience. SpanishPanama is unique amongst Spanish schools in Central America in that instructional international staff come to you from backgrounds in tourism, law, business, “pollera” dance, translation, and several have even written the own books of literature; they have worked in places such as the US Peace Corps, United Nations, Embassies, ONG’s, corporate and business environments, and universities. 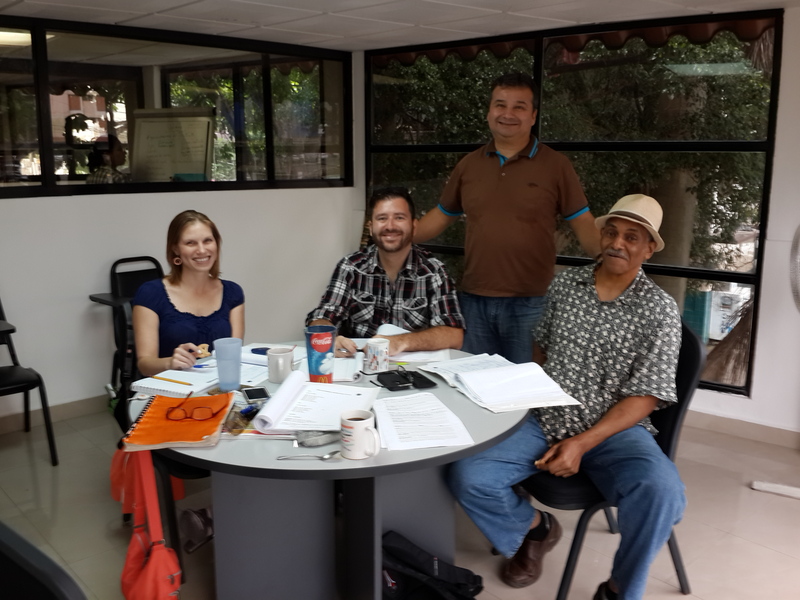 This diverse mix of experience makes them some of the most interesting and qualified teachers in Central America. This is what makes SpanishPanama, by far, the best value for your money spent: Learning incorrect Spanish the first time will cost you more in the long run. 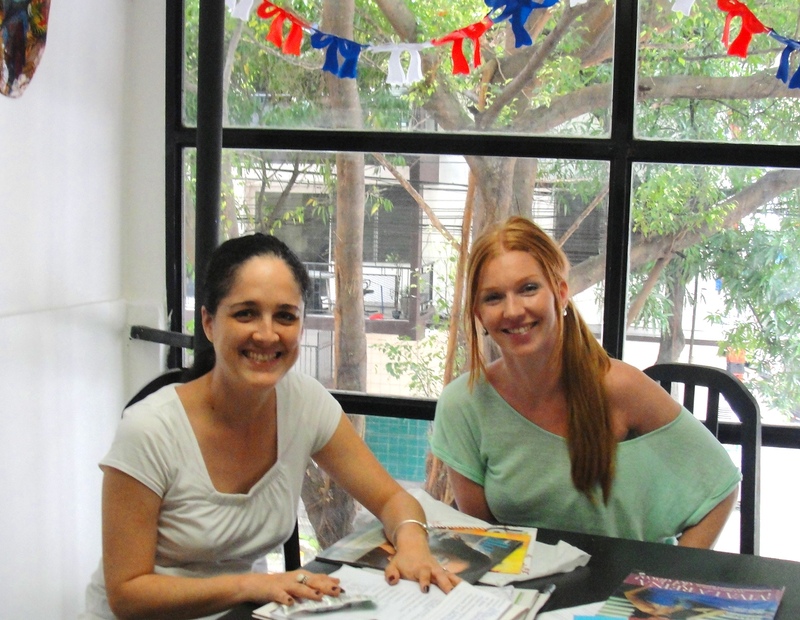 Come to our school on Via Argentina for a free Spanish evaluation or do the test online first. We’re across from Subway restaurant on Via Argentina. Number 1A, Building Americana. Spanish classes for beginner, intermediate or advanced Spanish levels. Our Spanish group class size is always kept small so that you get the most personalized instruction from your Spanish teachers. * If none of the scheduled times work for you, please contact us; Tel: (+507) 213-3121 Email: info@spanishpanama.com and we’ll find another option for you. If you prefer we also have one on one classes with private teachers. Crees que los extranjeros que viven o trabajan en Panamá deberían aprender al menos algo de Español básico? Cuéntales acerca de este $450.00 PROMOCION SALE en “SpanishPanama” en la vía Argentina. 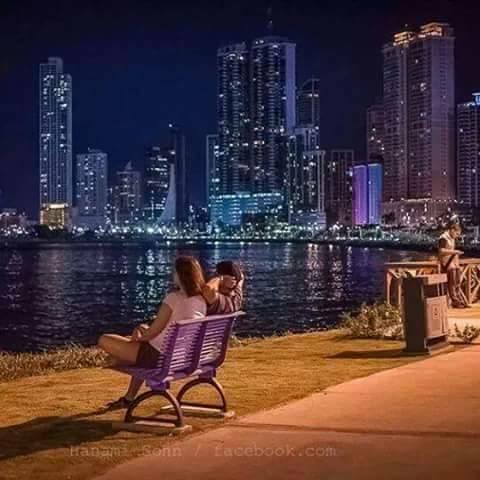 As this is widely considered to be the best neighbourhood in all of Panama throughout this Spanish course you may want to arrive early or stay later and visit the neighbourhood’s numerous cafes and bakeries, restaurants, local pubs, theatres, Andres Bello Park etc. Classmates sometimes decide to do just that! Many others love it so much they just decide to live here, or look for a job or try to set up a business. 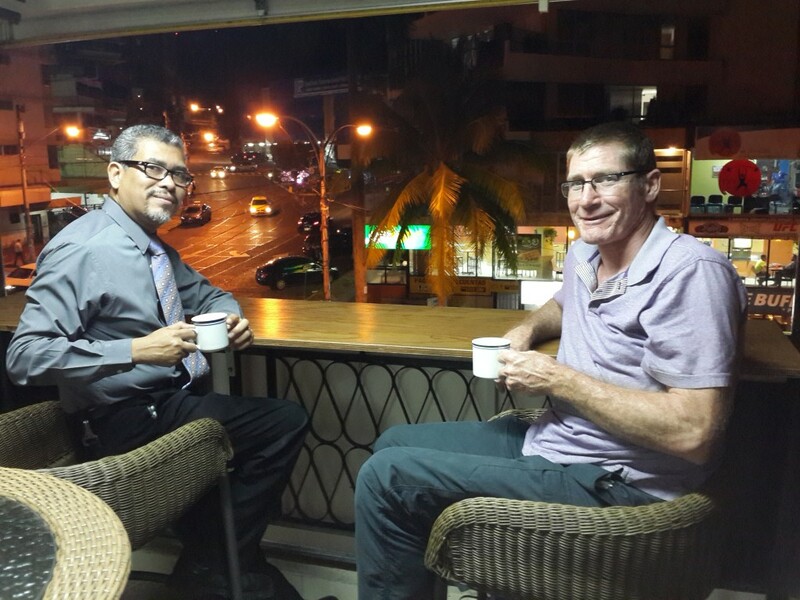 If you are staying at one of Panama’s best hotels you are probably just a 2-10 minute walk from us. Ask the hotel receptionist or hotel staff and they will point the way. Another great feature: We do not put people with different Spanish levels or vastly different Spanish learning styles in the same class. Your Spanish level for this group program will be selected based upon your Spanish evaluation and first oral interview with the teacher. 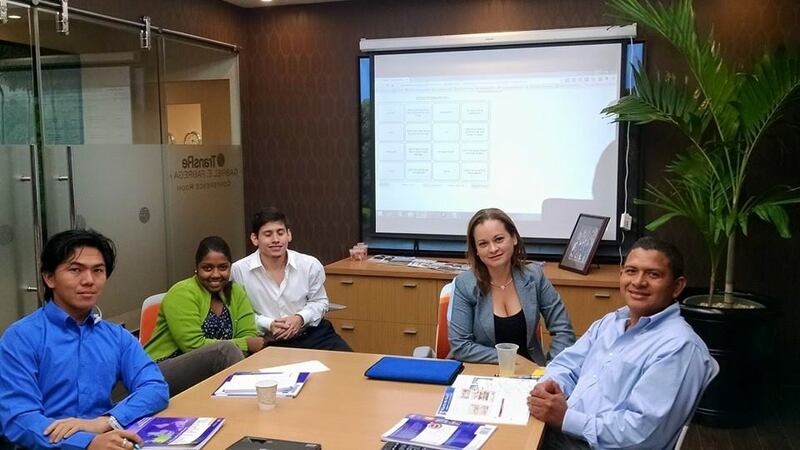 Spanish levels are decided by the teachers and Spanish Panama administration. And if you are already accepted as enrolled in a group Spanish class and have started your program, and if at any point there are no other people in your classroom, you will be given private Spanish instruction but you will not be charged extra for those classes in which you are alone. Each class is 2 hours with complimentary coffee (or tea) breaks on the social terrace over looking the fashionable and Bohemian neighborhood of Via Argentina. 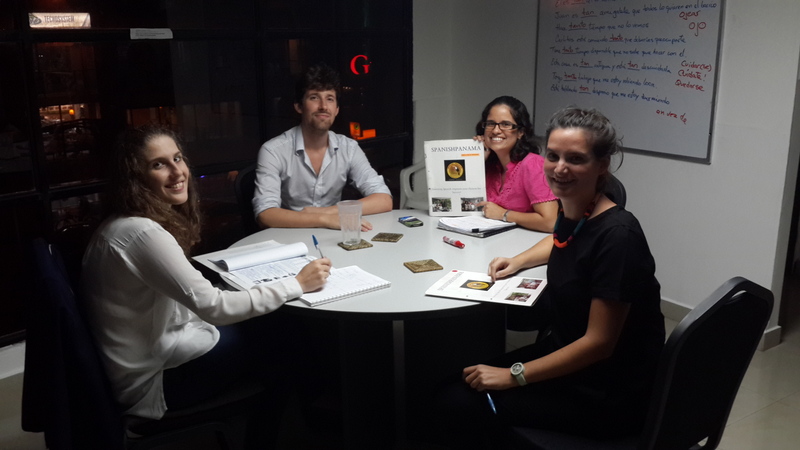 This regular Spanish course is ideal for foreign residents living or working in Panama, or tourists in Panama that decide to visit Panama longer, and who do not have the time available to do the other more intensive Spanish immersion programs of 4 hours per day. All the “Group Spanish Classes” and “Intensive Spanish Programs” are compulsory; if you miss classes for whatever reason there are no makeup classes. We are closed on national holidays but (unlike some other schools) we always replace holidays with makeup classes. It is only with the 50 HOUR Super Flex “1 to 1” program that you may change your schedule or cancel a class with a minumum 24 hour notice without being charged for the class missed. 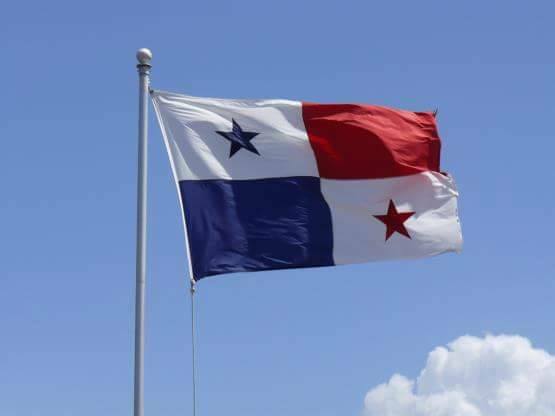 Something that we are most proud of and cannot say enough ….. our teachers are a great source for your cultural education about Panama as well as learning Spanish. All have university degrees. 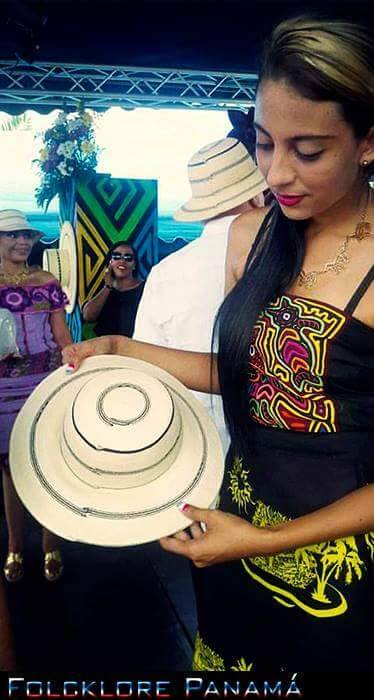 some of them are even famous book authors in Panama or multilingual as well as well versed in other careers. 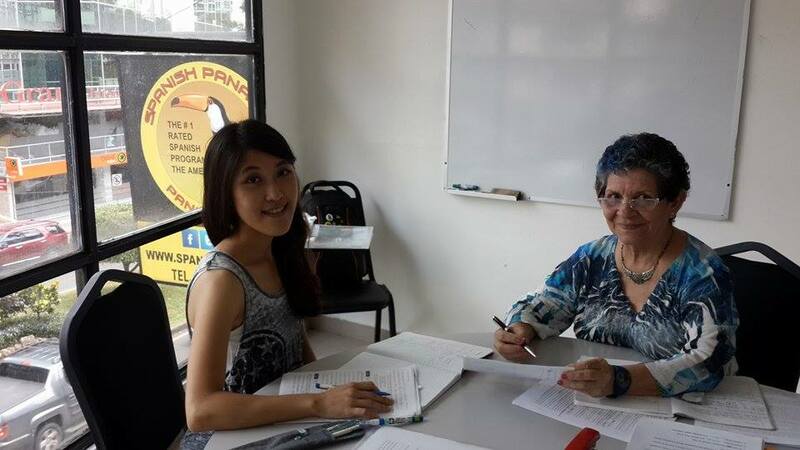 Most have more than 10 years of Spanish teaching experience, so you’ll be receiving wise, honest and motivating, as well as the most professional Spanish teaching service that Panama can offer. 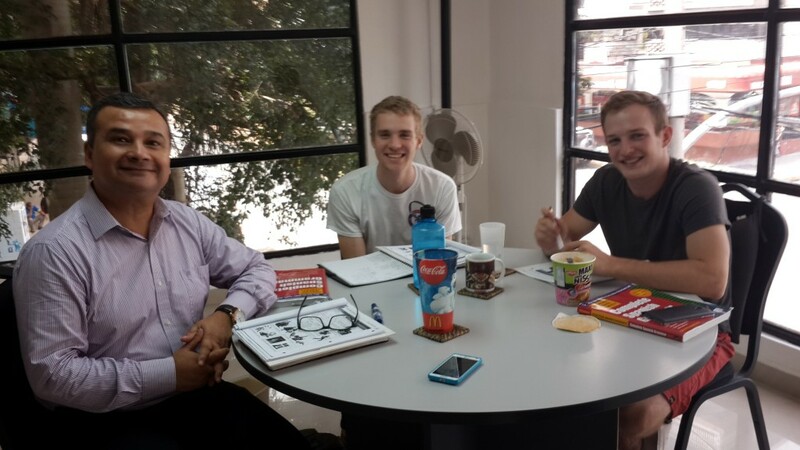 Learn Spanish in Central America and increase your chances for social as well as financial success in the Latin American world. 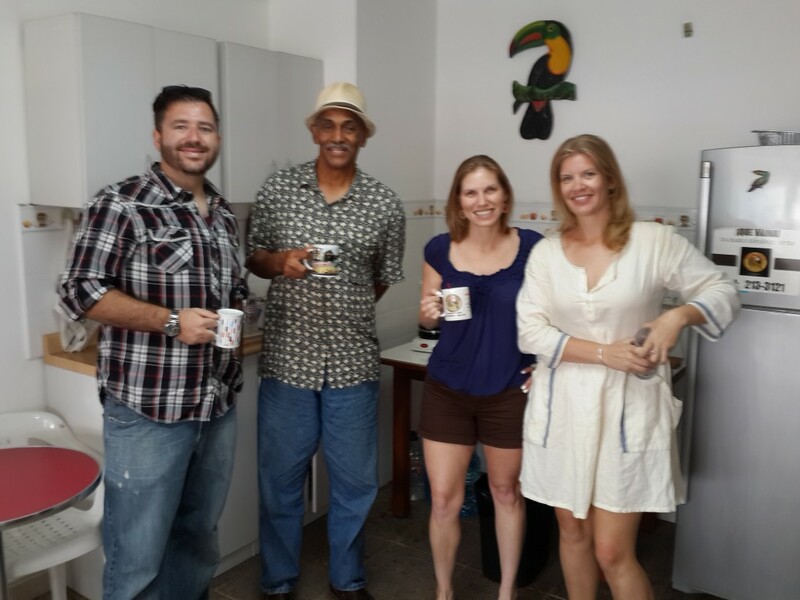 The Spanish Panama School offers single day classes for tourists, retirees, students traveling abroad, and any newcomers to Panama and Panama’s Spanish language. Now you are finally experiencing the amazing world of Latin America so it’s time to get started with at least learning some Spanish phrases and vocabulary to get around the city while you are here. These one day Spanish classes are usually held on Fridays but you may book in advance. These Spanish crash courses may be in private or group clases. The short one-day Spanish class is designed to teach newcomers and tourists in Panama how to handle a taxi driver in Panama, how to find a hotel and talk to your hotel staff, how to order food in a restaurant, how to barter in the market-place (and not pay more than you should), how to find the major tourist attractions and the important things to see and do in Panama, and how to ask and follow directions. It’s fun and you get complimentary coffee in our social terrace over-looking Via Argentina, free wifi, and good conversation during your breaks with other students new to Panama like yourself. Located at Panama City’s number 1 intersection off the Albert Einstein’s Head Statue Cabeza (Einstein). As an option and a great idea for you is to add the SpanishPanama “Single-Day” Class to our half-day SpanishPanama “Panama Tour”. 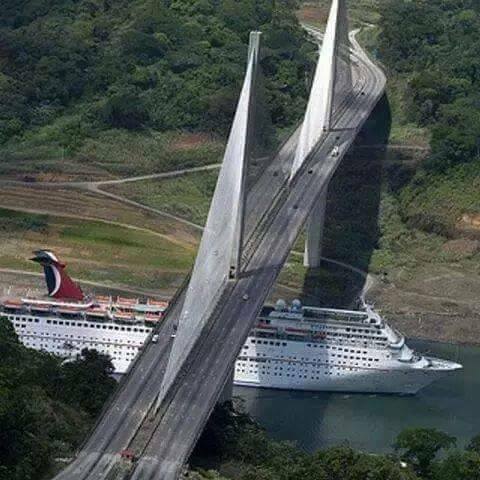 This tour will be coordinated perfectly so that you will see some of Panama’s major sites and at the same time not miss your crash course in Spanish. 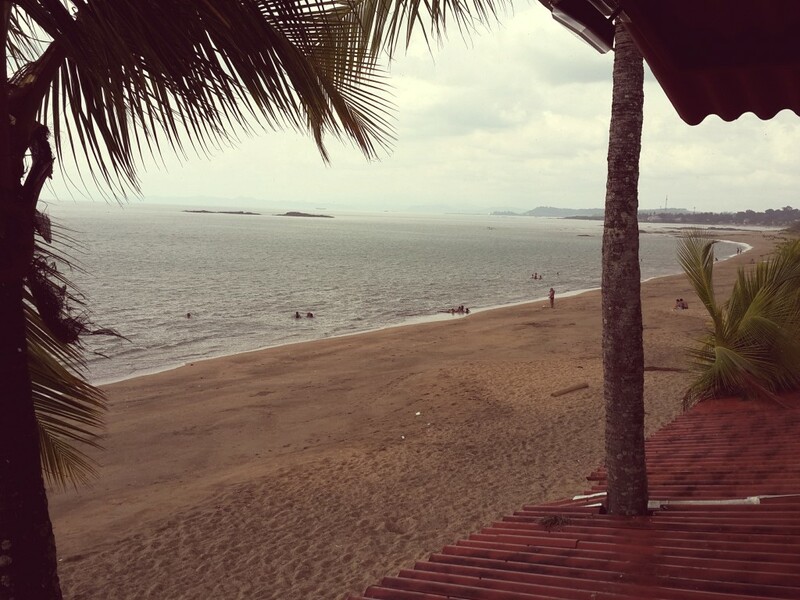 On the weekdays of your SpanishPanama “Single-Day” Class, our guide will leave SpanishPanama at 9:00AM. 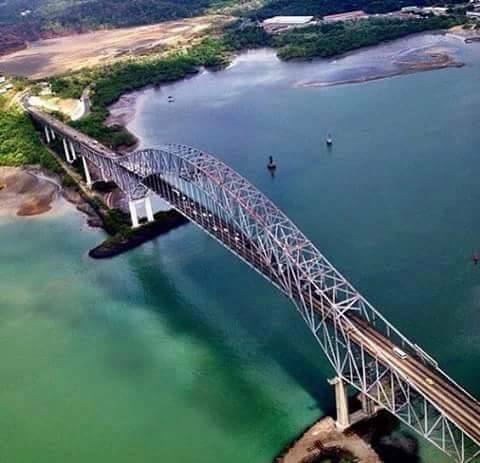 You will be taken to see Amador, Albrook Mall, Bridge of the America’s lookout, Ciudad de Saber and Pedro Miguel at the Panama Canal locks, then you will be taken to Panama’s closest beach. You may have an early lunch there or later on at one of the many SpanishPanama favorite student restaurants on Via Argentina near the school. And just in time for school. Times: Wednesday, Thursday, OR Friday afternoon from 9:00AM to 5:00PM. (Tour is 9;00AM – 1:00PM and class is 1:30PM to 5:00PM. If you choose the SpanishPanama “Single-Day” Class on Saturday morning the class will be 9:00AM to 12:30PM and the half day Panama Tour will start at 12:30pm and end at 5:00pm. NOTE: If no one else is signed up at your day of booking you will be given a private Spanish class and private tour (if applicable) but at no extra cost.